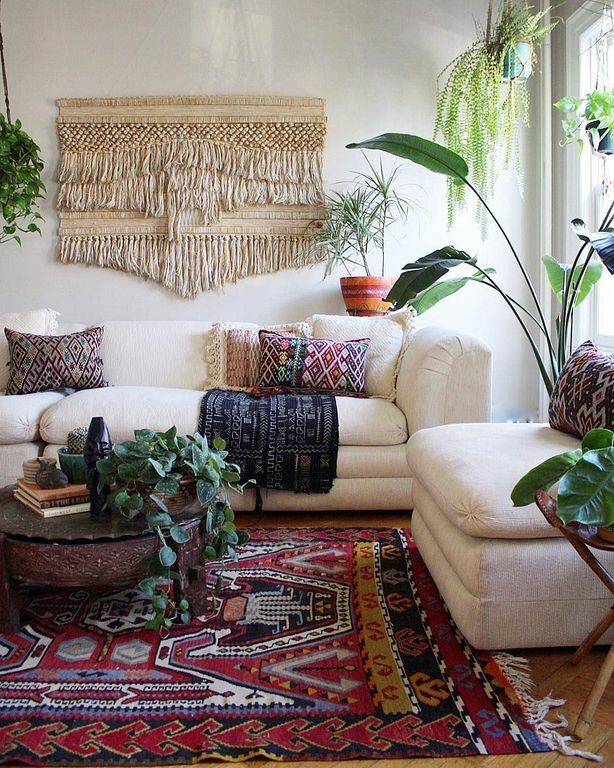 Creating a Bohemian living room means creating an absolutely different and personalized atmosphere to your liking. 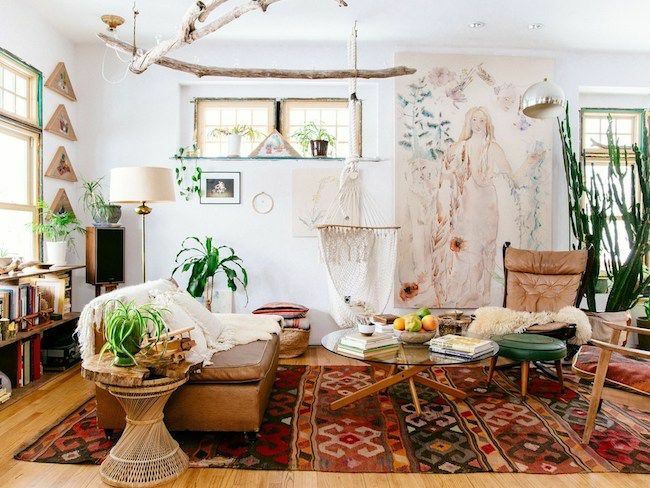 In addition, the best feature of this boho style is that you can use any art pieces. Include your own work of art and mix colors you wish. Bohemian style often resembles a fun Eastern interior. For instance, Moroccan, so enjoy bright colors and patterns if that is what your into. You want to include wood, fur, different fabrics, leather and silk plants. 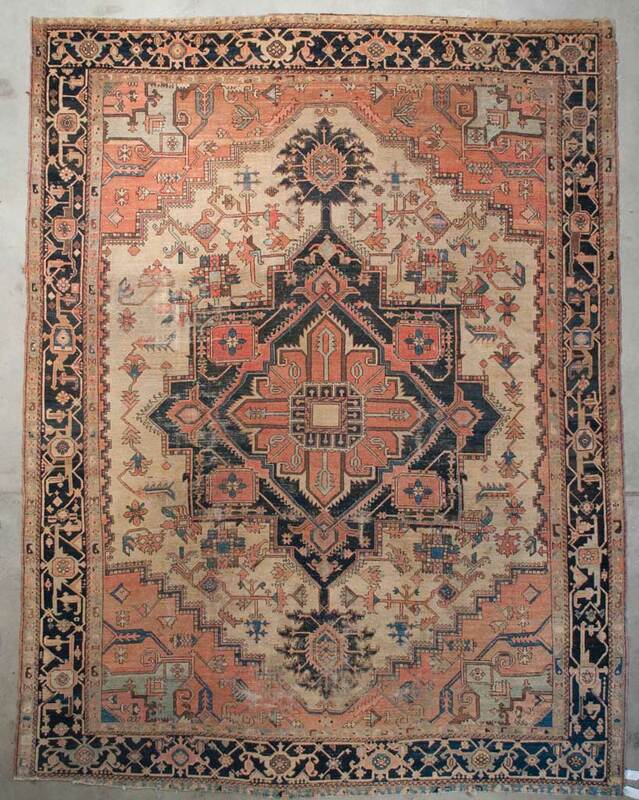 Most importantly choose a oriental rug that will go with your bohemian design. 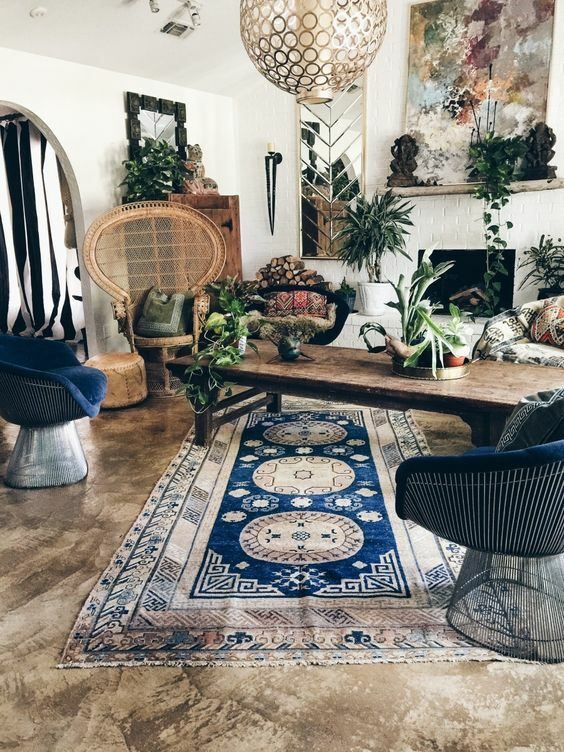 Your options are endless when it comes to rugs and with a boho interior you can use pretty much any style rug. Have fun and enjoy the variety of materials you can use to create a wonderful Bohemian design. Personalized in various ways, get inspired! 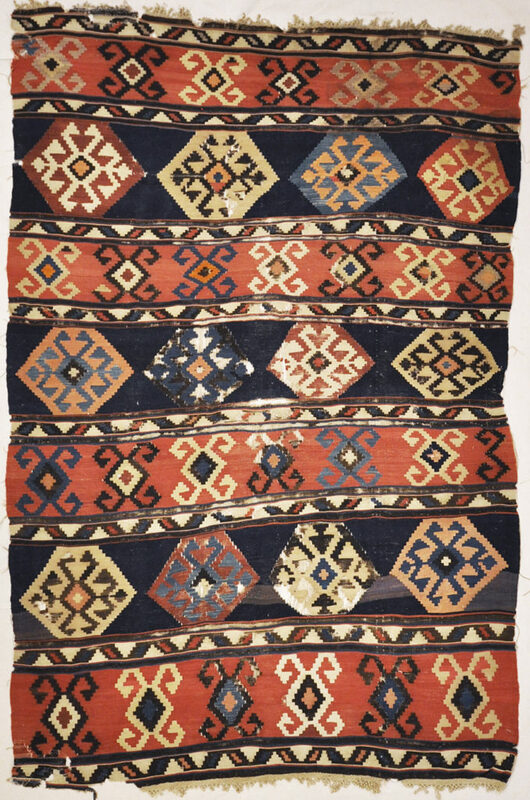 This Shirvan Kilim is a flat tapestry-woven carpet traditionally produced in countries of the former Ottoman Empire, Iran, Azerbaijan and Turkic countries of Central Asia. 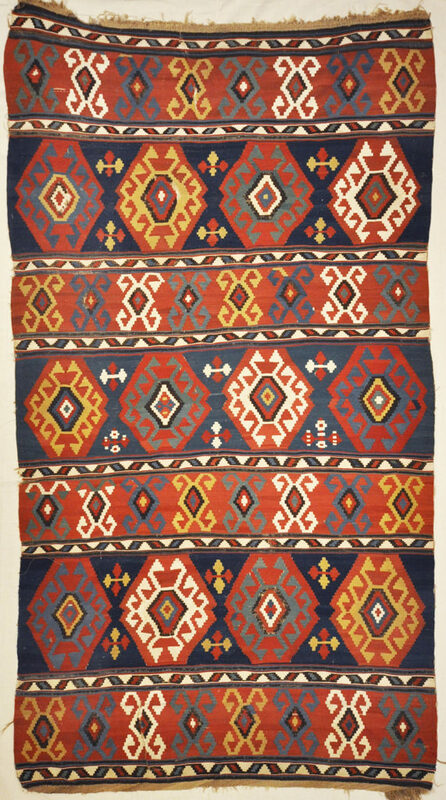 Kilims can be purely decorative in any home especially in this design. These bohemian decorating ideas have colorful collections, unconventional displays, and design inspired by free expression as its core elements. It draws a portrait of your living room as individualistic as you. With this Victorian style living room that has a quirky take with a boho-chic look, you are sure to come out of your comfort zone when you are in the home. These bohemian decorating ideas have heavy wood furniture with gorgeous decor that stand testament to the craftsmanship that has gone into designing this. The palette of colors range from the more soft and decorative to more bold and rich. Many will have stronger and more geometric patterns or drawings. 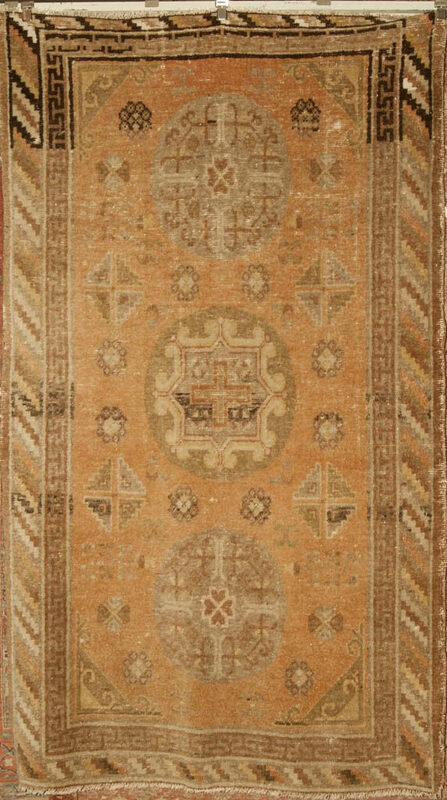 Antique Khotan Rugs – The vast majority of the antique rugs which were woven in the East Turkestan city of Khotan have a style that is all their own. Khotan is an oasis and an age-old center for international design. 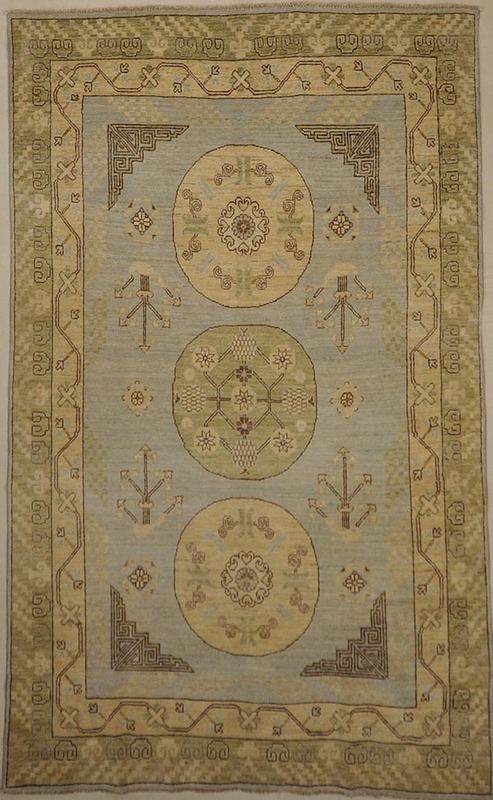 From the ornate borders and grand medallions to the stunning repeating patterns, each carpet from Khotan captures a cosmopolitan style that is different than all the other rugs produced in East Turkestan. 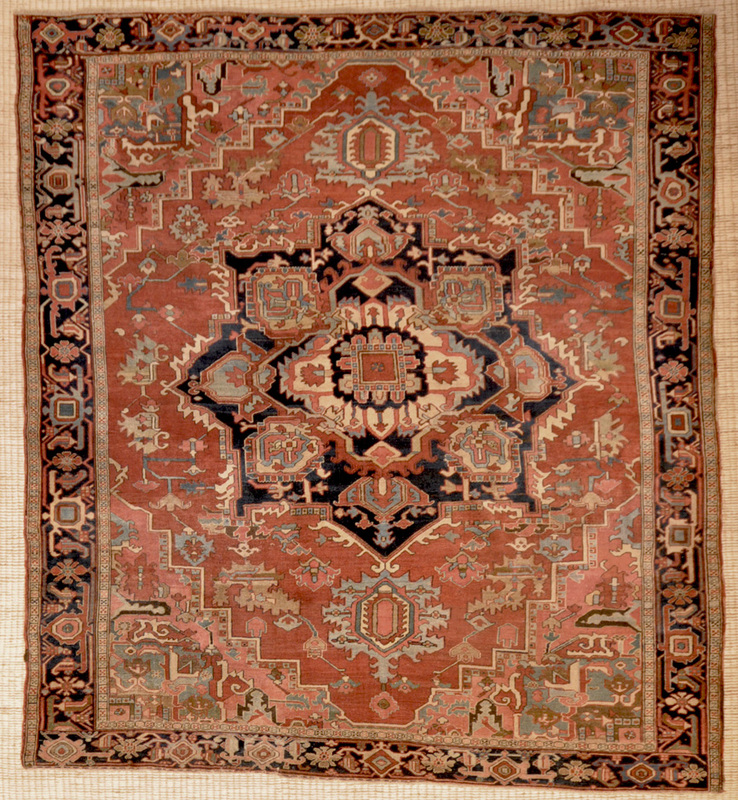 Furthermore, this bohemian room features a Serapi rug full of vibrant colors and various cultural designs. 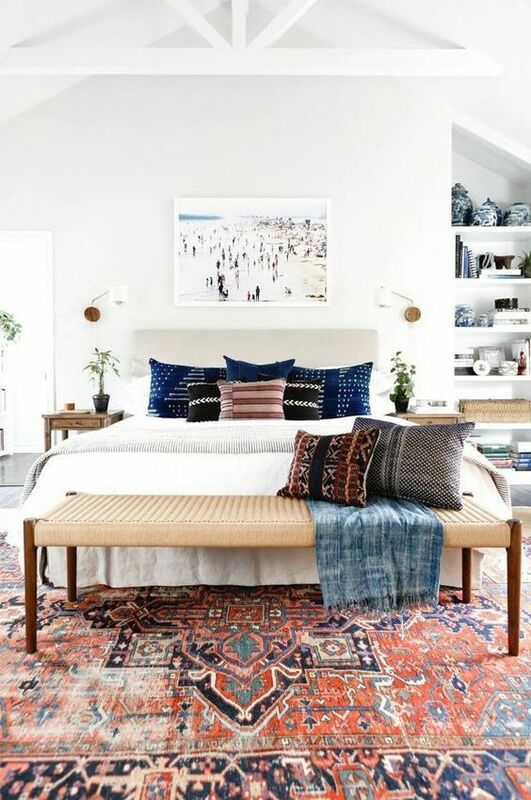 The attractive design of the oriental carpet blends well with the overall scheme of the bedroom. These bohemian decorating ideas are the perfect mix of eclectic design and fun with colors that are chosen wisely. ← Hand Tufted Rugs Are No Good, Learn Why?